Telkom has been plunged into crisis following the release of damaging dossiers that accuse top management of poor decision-making and even corrupt and irregular dealings. But senior-level sources at Telkom say the dossiers, which are written anonymously, are the work of a disgruntled former executive, Motlatsi Nzeku, who they believe has his eye on the top job at the telecommunications group. Nzeku on Thursday denied any knowledge of the dossiers and said he had no part in writing or distributing them. 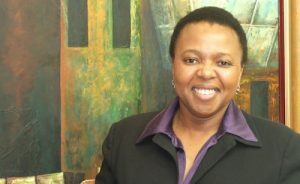 Nzeku was fired as Telkom’s chief operating officer in early 2009 by then-CEO Reuben September. The group issued a harshly worded statement at the time accusing Nzeku of causing “reputational damage amounting to defamation of the company and its leadership”. It also insinuated that he had failed to address service delivery problems, a principal responsibility of the chief of operations. Nzeku took the matter to arbitration and won. But last month Telkom filed legal papers challenging the arbitration ruling reinstating him to his former position at Telkom. The role of chief operating officer no longer exists following an extensive restructuring of the group. Telkom acting group CEO Jeffrey Hedberg had apparently offered Nzeku a job looking after Telkom’s international interests. Nzeku says he can’t comment on ongoing discussions. The dossiers, leaked by a Communication Workers Union shop steward, make serious allegations against Hedberg and Telkom SA MD Nombulelo “Pinky” Moholi, among others. In one dossier, aspersions are cast on Moholi because of her husband’s (former) ties to Hezeki Contracting, which is a supplier to Telkom. A source close to the situation says Moholi declared the conflict to Telkom before joining the group and, before she took up her new job, her husband had sold his stake in Hezeki. Senior Telkom sources say the information in the dossiers is highly selective and aimed at damaging the credibility of anyone considered to be in the running for group CEO. Moholi is livid at the accusations and on Thursday hit back in the form of a media release. In the release, Moholi says “several unfounded and unsubstantiated allegations have been made against me”. Her statement, in which she refutes the allegations, is published in full at the end of this article. Hedberg, meanwhile, has been accused in the leaked dossiers of destroying Multi-Links, Telkom’s failed Nigerian subsidiary, and of hiring former Cell C executives and other consultants at high cost. 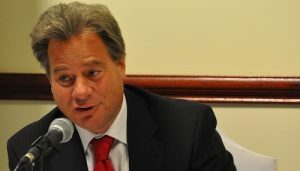 Hedberg was formerly Cell C CEO before being appointed to head up Multi-Links earlier this year. He was later installed as group acting CEO of Telkom after the early departure of Reuben September, who fell out with controversial government-appointed chairman Jeff Molobela. Both Hedberg and Moholi are highly regarded figures in the local telecoms industry. The accusations levelled against them in the dossiers are likely to come as a surprise to many. On Thursday afternoon, Telkom issued a detailed statement dealing with a range of issues, including some the accusations contained in the dossiers. In the statement — a full transcript is published at the end of this article — the chairman of Telkom’s audit and risk committee, Sibusiso Luthuli, says the dossiers contain “frivolous personal attacks on certain senior Telkom executives”. “The documents that have been placed in the public domain recently are deliberately malicious and are intended to undermine and damage Telkom’s reputation,” Luthuli says. Some senior figures in Telkom believe communications minister Roy Padayachie needs to intervene to stop the rot. Padayachie recently extended Molobela’s term as chairman by two months — to the end of the year — while government mulls over who it wants as the group’s next chairman. Former communications minister Siphiwe Nyanda appointed Molobela to the position. President Jacob Zuma sacked Nyanda at the end of October. Molobela, who has proved to be a divisive figure at Telkom, is understood to be lobbying hard to be appointed to the position for another year. A Telkom source says Molobela and fellow government-appointed board director Jackie Huntley (whose term has also been extended by two months) both wanted Hedberg to find a position for Nzeku at Telkom. Telkom is aware that a series of memoranda containing a wide range of unsubstantiated statements relating to the alleged lack of corporate governance in Telkom are being circulated to the media and various parties. The Board believes that the release of the memoranda is designed to distract them from its ongoing investigations. Some of the allegations in the documents which have been brought into the public domain have tarnished the reputation of Telkom. A number of the matters contained in the memoranda are already known to Telkom and are in various stages of investigation. Following a meeting of the Audit and Risk Committee (ARC) of Telkom’s Board of Directors yesterday, Telkom has decided to state its position on these matters publicly. The Telkom board and in particular the ARC has already taken decisive action on the findings of several investigations into matters at Telkom and its Nigerian subsidiary, Multi-Links over the last year. Amongst other actions, the decisions of the Telkom Board’s ARC have led to official criminal investigations and internal disciplinary processes. Forensic auditors at Ernst & Young were tasked by the Telkom Board to perform an investigation into many aspects of Multi-Links, and this culminated in criminal and disciplinary processes being launched. The findings of the Ernst & Young investigations have been handed to the South African Police Services and the National Prosecuting Authority for consideration. The SAPS and NPA have subsequently instituted criminal investigations into certain activities at Multi-Links. Telkom is not in a position to provide further details of the criminal investigations. 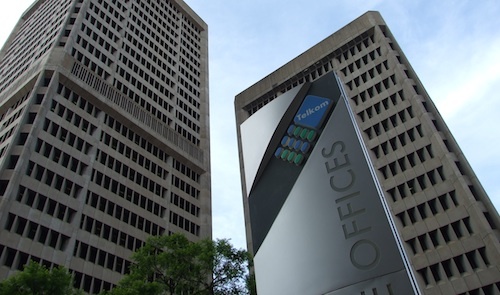 An internal disciplinary process has also been instituted against various Telkom employees for failing to comply with company policies and for mismanagement. All disciplinary processes are a confidential matter between Telkom and the affected employees, and Telkom cannot disclose further details. In addition to the Ernst & Young investigation, at the end of 2009 the Telkom Board recommended that a task team be convened to gain better insight into the challenges confronting Multi-Links. Following engagement between the task team and management at Telkom, led by Jeffrey Hedberg, the Telkom Board mandated Ernst & Young to review specific contracts concluded at Multi-Links which presented several commercial challenges. The above review is currently underway and has not been finalised. In a third formal enquiry initiated by Telkom, the Board appointed an independent forensic consultant to investigate the veracity of allegations made by former Chief of Operations, Motlatsi Nzeku in 2008. In December 2008, Nzeku presented the Board with a dossier outlining allegations of breaches in governance and inappropriate conduct of management. While most of the allegations were found to be unsubstantiated, the Board is taking appropriate action in some instances on the basis of the findings of the forensic report. A fourth probe followed allegations levied against the Telkom Group Chairman, Jeff Molobela, by former Chief Executive Officer Reuben September. The Telkom Board mandated KPMG to investigate September’s claim of interference by the Chairman in operational matters at Telkom. The KPMG report found that there was no evidence to substantiate all five allegations against the Chairman. Following the findings of the report, the Board has resolved to act against the individuals involved. The Board and management of Telkom will continue to ensure the application of strong corporate governance principles including adherence to the King III Code of Corporate Conduct. In addition to discussing the progress and outcomes of the four professionally-led investigations, the Audit and Risk Committee also considered recent statements made against Telkom’s management in several documents being circulated to the media. Some of these documents contain statements claiming unfair labour practices and racial discrimination at Telkom. The Audit and Risk Committee resolved to review those aspects of the statements contained in the documents that are not already covered by the current investigation. Simultaneously, the executive management team will also investigate the statements contained in the documents and will take appropriate action on their findings, as required. The Chairman of the Audit and Risk Committee, Sibusiso Luthuli, said that, apart from the issues already examined by Ernst & Young and other investigations, many of the statements in the recent dossiers were frivolous personal attacks on certain senior Telkom executives. “However, the Board takes all allegations seriously and will investigate where appropriate,” said Luthuli. “The documents that have been placed in the public domain recently are deliberately malicious and are intended to undermine and damage Telkom’s reputation. They were not presented through the established mechanisms for whistle-blowing before being circulated to the media and other stakeholders,” said Mr Luthuli. Telkom’s Acting Group CEO, Jeffrey Hedberg, said that Telkom remained committed to upholding and applying sound corporate governance principles stringently at all times. “While it is important for the leadership of Telkom to engage with the issues of the past, and to resolve them in a manner that sets the tone for the future, it is critical that we do not allow ourselves to be distracted from our core task of servicing our customers,” said Hedberg. “I encourage a culture of open dialogue, in which employees can raise issues and express opinions transparently without fear or favour, and we have effective externally managed mechanisms for whistle-blowing and employee engagement,” said Hedberg. The Board’s ARC cautioned that the memoranda being circulated to the media and other third parties are littered with several inaccuracies. For example, a recent newspaper report quoted a document erroneously stating that Ernst & Young had allegedly failed to disclose that it found that Multi-Links should have already impaired R65 billion, and not only the amounts that Telkom had publicly declared. In fact, the “R65 billion” referred to in the report actually pertains to an amount of N65 billion (N=Naira, the Nigerian currency), which represents the impairment of the full net asset value in Multi-Links at March 2010. This amount equates to the R3 billion impairment reported at the Telkom Group level at March 2010. The report further erroneously indicates that Telkom had disclosed a R1.7 billion impairment at the end of the 2009 fiscal year, suggesting that there was no impairment in the first half. In fact, the impairment at the end of the 2009 fiscal year amounted to R462 million. The R1.7 billion referred to in the report was in fact the impairment as at September 2009. The Telkom Board is comfortable that the Telkom Group financial statements in respect of 2009 and 2010 are accurately and fairly presented in the financial reporting for these periods. Several unfounded and unsubstantiated allegations have been made against me in documents being circulated to the media by various parties. Some of these allegations have undermined my personal and professional integrity, forcing me to respond publicly. I wish to make it clear that, while I am the Managing Director of Telkom SA, I am making this statement in my personal capacity to refute the allegations made against me personally. It is alleged that I failed to take corrective action on an allegation of corruption by Mr Narainsamy, owner of RSSS. On the contrary, Telkom authorised the investigation into the RSSS contract as far back as January 2010. This matter was also a subject of Mail & Guardian reports and the company has completed two forensic reports on the allegations. The two reports have been handed to the Audit and Risk Committee of the Board for further action. It is alleged that I may not have declared my spouse’s interest in the company, Hezeki, which was awarded a contract by the Board in November 2008. It is important to note that I was not in the employ of Telkom from 1 December 2005 to 30 April 2009, the period in question. Nevertheless, on joining the company all employees are requested to fill in and continuously update a conflict of interest form. This was duly done and can be confirmed by the online Telkom compliance form. Mr Moholi had indeed purchased (and was not given) shares in Hezeki in 2007, and was forced to sell back those shares to the company in April 2009, in light of his spouse’s impending employment at Telkom SA. It is alleged that I was involved in the hiring of a so-called friend from Nedbank, Manelisa Mavuso, without due process. The invitation to apply for the SME: Consumer position was placed internally in Telkom and simultaneously briefed to a recruitment agency, Spencer Stuart, which sourced Mr Mavuso, a retail marketing veteran from Standard Bank Retail. The shortlist included internal and external candidates. The interviews followed a structured process and were supervised by the Group’s Human Resources division. Mr Mavuso was recommended by a panel of three Exco members for appointment. Mr Mavuso is not related to me, nor is he a personal friend, and allegations of wrong-doing or nepotism are devoid of any truth. This allegation is simply a pre-emptive allegation by Mr Thabang Mothelo to avoid the on-going disciplinary action against him on charges of racism, by throwing aspersions on the chairman of the procedure, Mr Mavuso. This statement does not in any way give any weight to the libelous report about me, and my rights are reserved. Wow, there is no smoke without fire!! What happened to Mr Mostert, R, September after the governance allegations? They are announced their resignations. This reminds me of the secret Vodacom KPMG Report. Somebody must scutinise the Telecommunications sector. It’s is actually general knowledge that Telkom’s is under bad management and going down fast. The dossiers only serves as confirmation thereof.